Pick a day in May to Go Yellow! Pick a day in May to GO YELLOW to raise funds for your local hospice! 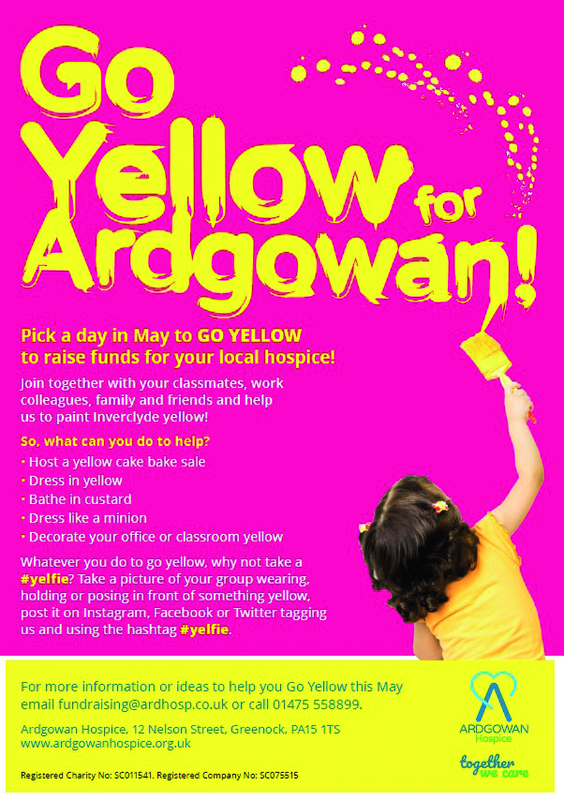 Go Yellow with your classmates, work colleagues, family and friends and help us to paint Inverclyde yellow! Whatever you do to go yellow, why not take a #yelfie? Take a picture of your group wearing, holding or posing in front of something yellow, post it on Instagram, Facebook or Twitter and tag us and using the hashtag #yelfie. This year donating couldn’t be easier! 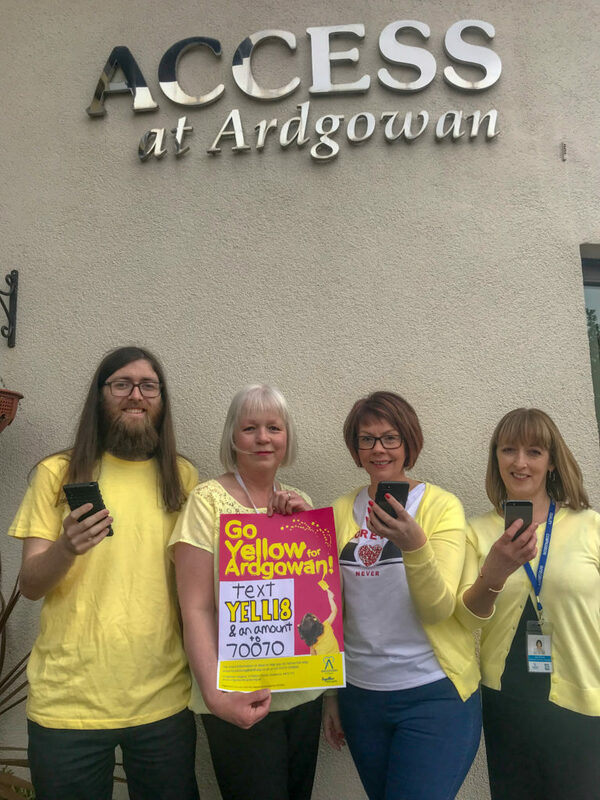 Just text ‘YELL18‘ along with an amount to 70070 and Ardgowan Hospice will receive 100% of your donation*. If just eight people reading this texted ‘YELL18 £5’ then that would fund a session at our lymphoedema clinic. If 60 people texted ‘YELL18 £10’ then that could pay for a day at our in-patient unit for a patient to receive important care. You can enter any amount you wish, so please spread the word and help us care for the people of Inverclyde in their time of need. 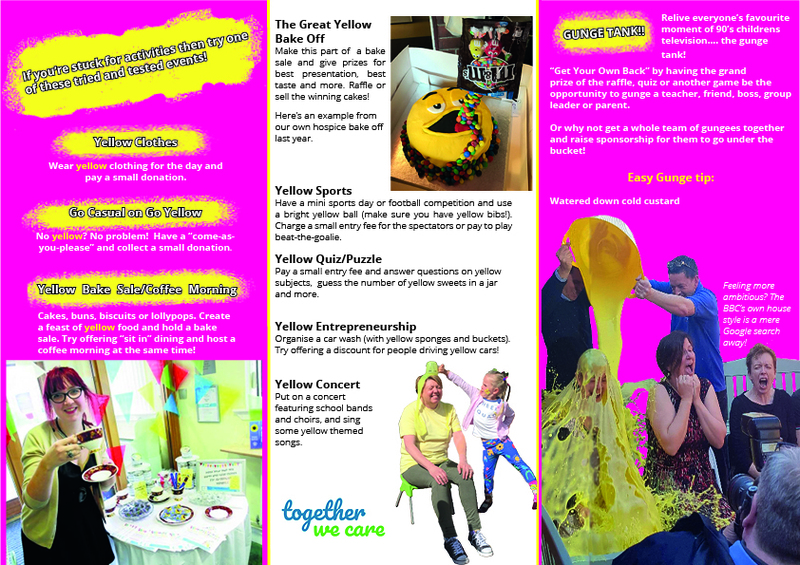 If you want to Go Yellow this May, ask a question or just share your Go Yellow activities with us, here’s how to get in contact. Print our promotional materials and use them to promote your event!